I would like to thank The Girl Who Ate Everything for coming up with the idea to stuff meatballs with Gushers! The concept seems outrageous but who doesn’t love a little sweet and sour with their meatball, right?!? Gushers really take me back to my childhood and it’s been years since they’ve had a place in my pantry. Speaking of nostalgic snacks, I just have to mention that Dunkaroos are one of my favorite staple snacks (they are only 3 Weight Watchers points) and I keep a few boxes in the house at all times. So now Gushers have joined the party! 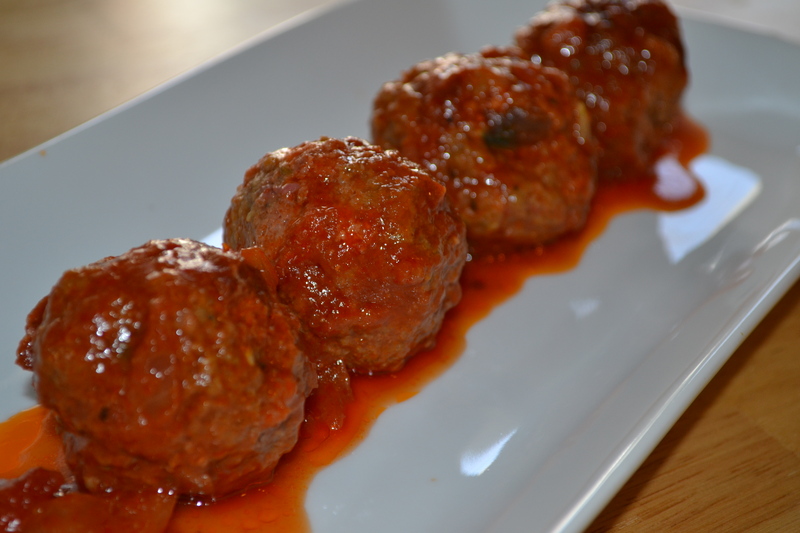 I altered one of my favorite meatball recipes from my mother to make sure the meat would complement the sour flavor of the gooey jelly fruit candy. I started by making the sauce so it would be boiling and ready for the meatballs. I basically just added all of the sauce ingredients to a large pot and brought it to a boil. 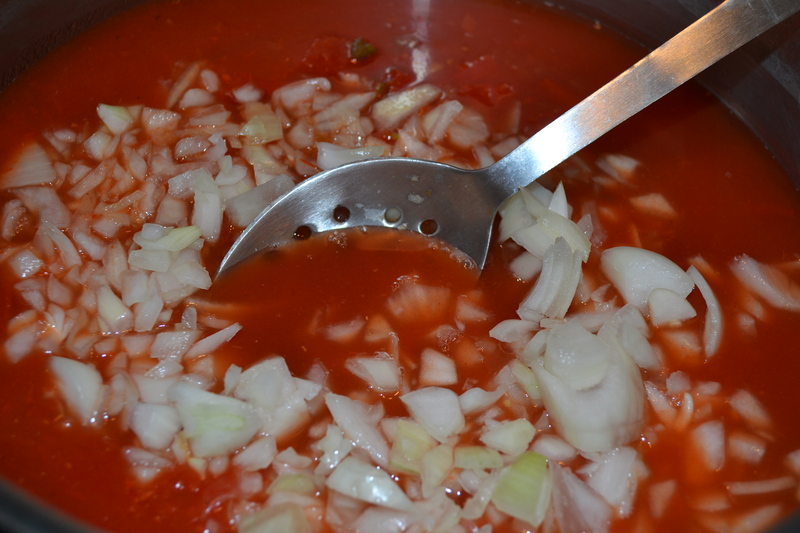 I then lowered to a simmer. 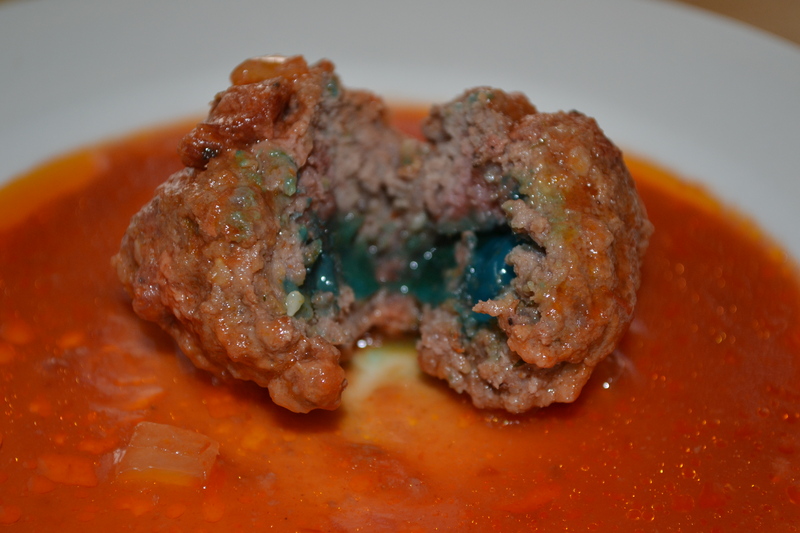 Next I moved on to the Gushers meatballs. How exciting! First, and most importantly, I opened up the packaged of Gushers, placed them in a bowl and set aside. I used the variety pack, filled with strawberry splash, watermelon blast and tropical flavors. You can use any of these flavors or use all three! 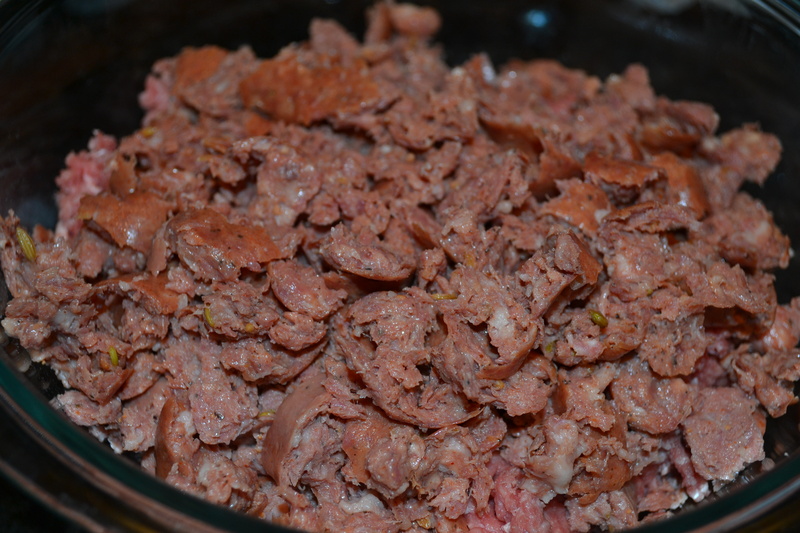 I ground up the sausages, of course I used my favorite Jacks’s Gourmet, and added them to the meat. 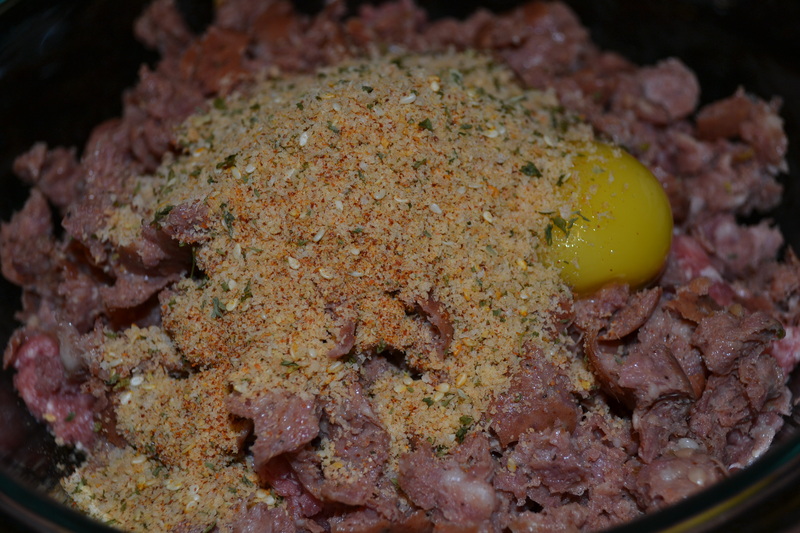 I added the egg and breadcrumbs and mixed until combined. 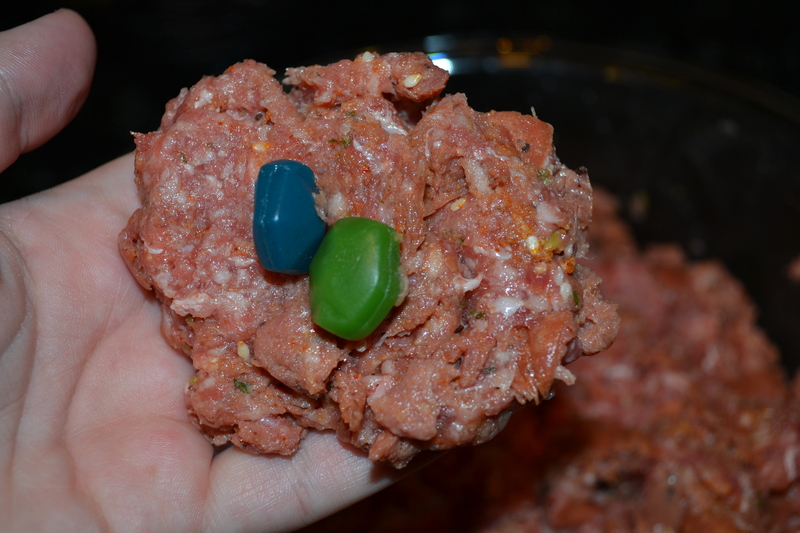 Then, using my hands, I scooped up a large ball of meat, around 2 tablespoons, and wrapped around two Gushers. 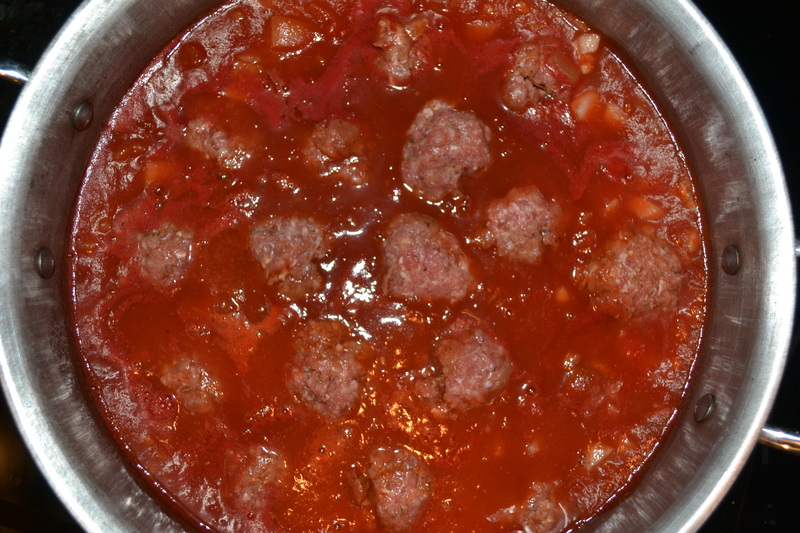 I carefully placed the finished meatballs in the pot of simmering sauce, closed the lid, and cooked for one hour. I could hardly wait for the meatballs to finish cooking in the sauce! I just wanted to cut right in and see how the Gushers center turned out. 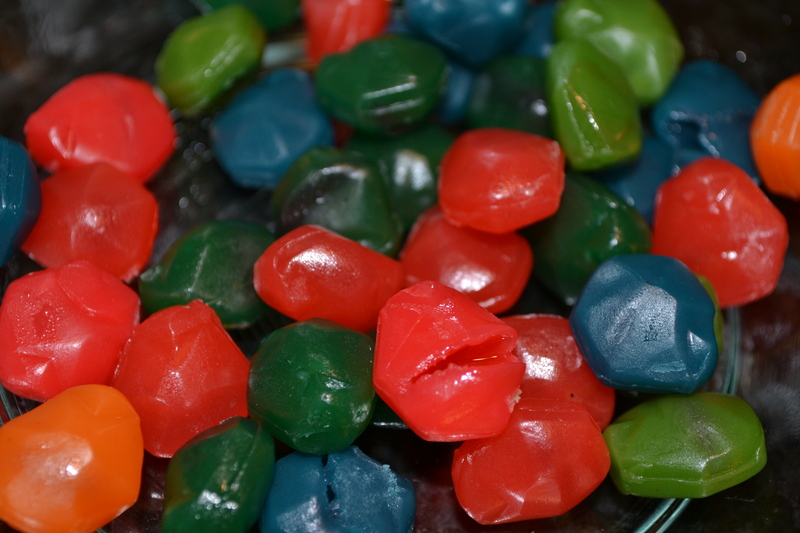 The Gushers became very soft, which was perfect because you couldn’t necessarily recognize it as a candy but more as a liquid center. The bright blue, green and red hues created a fun surprise that I know will really impress (or scare) my guests. And the taste was delicious! The tomato based sauce balanced out the savory flavor of the meat and the sweet and sour shock of the candy. 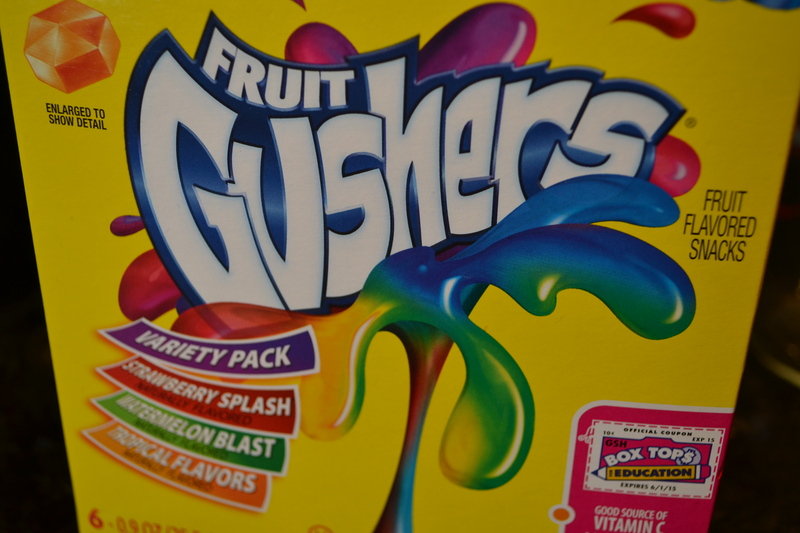 Don’t be afraid of the Gushers! Try out this recipe. I’m a little afraid, but still want to try them, which I guess is the point. I’m with Jessica. I am scared of them and yet must know how they turned out….